Lateral restraint ties secure bowing walls to structural timbers that run parallel to them. 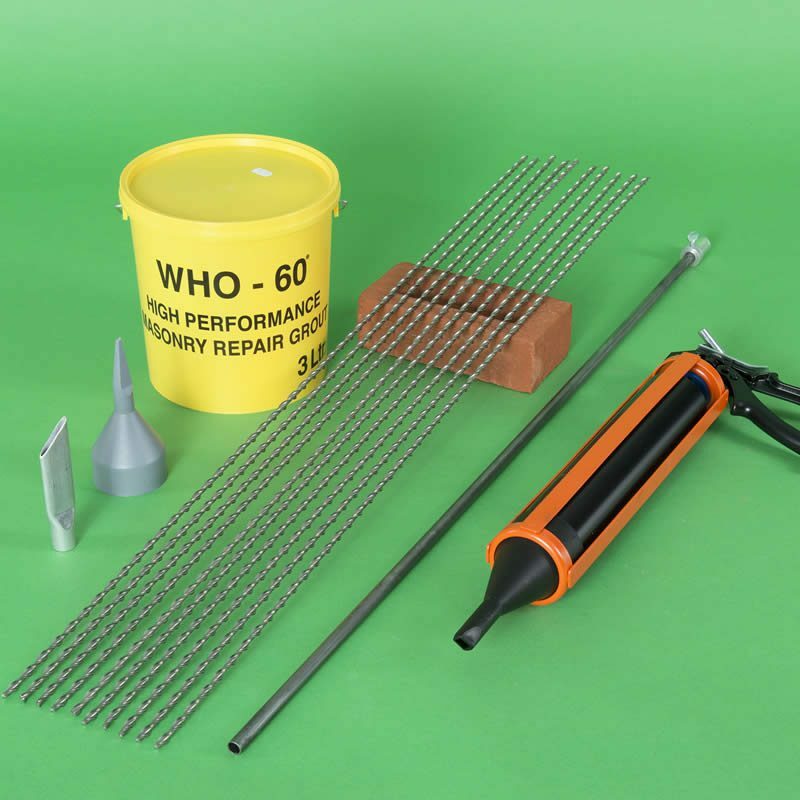 Fully concealed with minimum disturbance this product provides a quick, easy and reliable solution to the problem of restraining bulging wall. 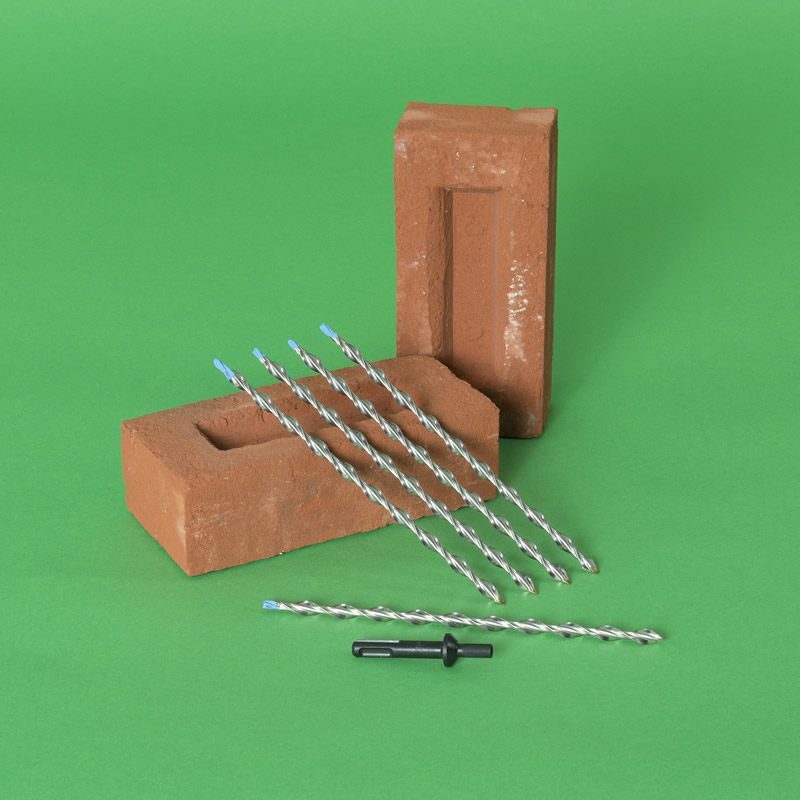 Lateral restraint ties are designed for restraining bowing walls to structural timbers that run parallel to them. 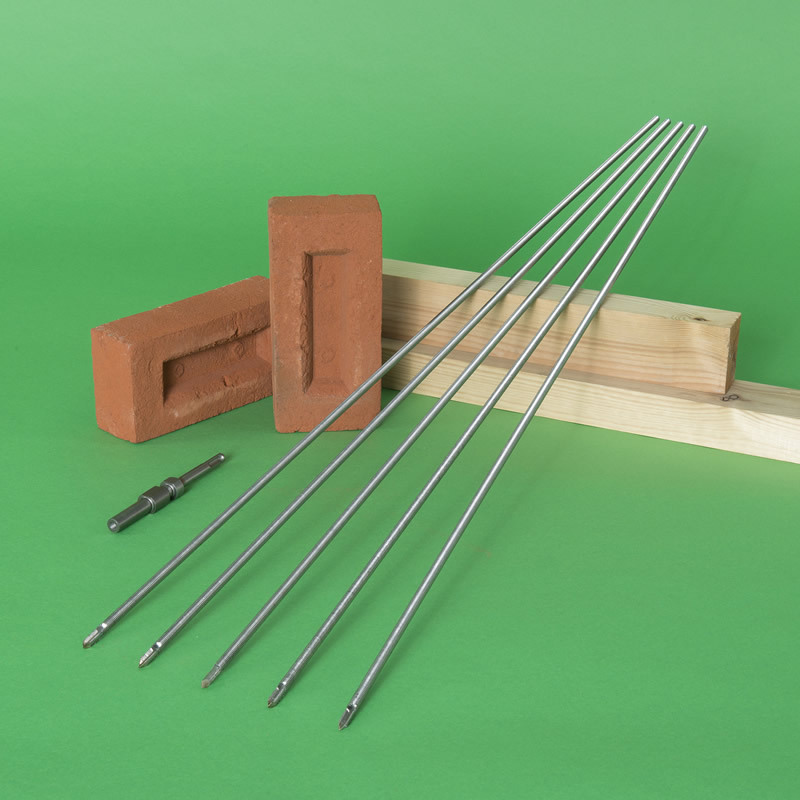 The ties are used to connect a masonry façade to the flooring diaphragm via two or more timber joists. 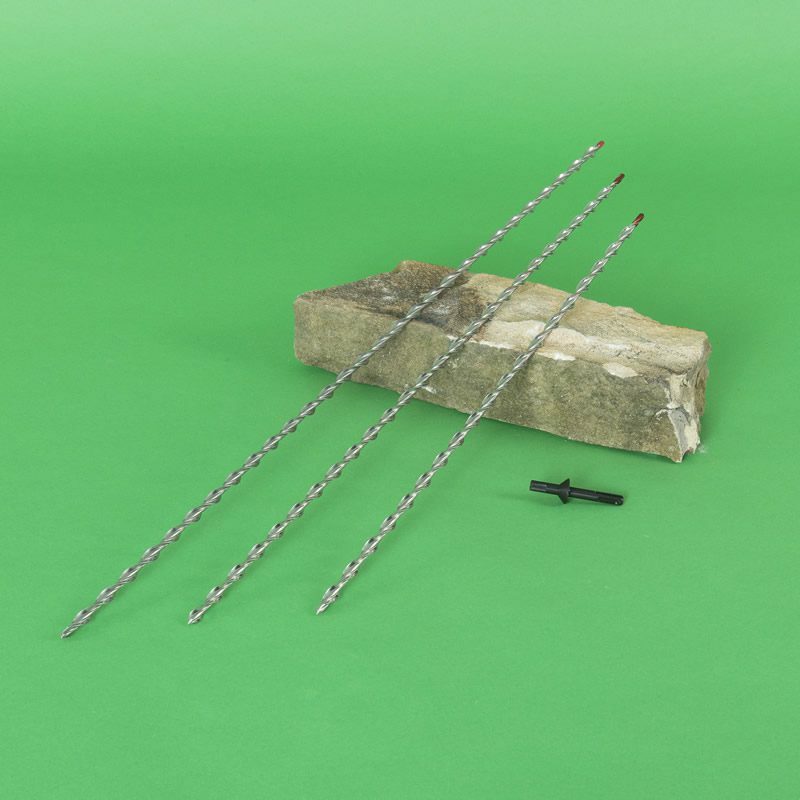 The 8mm diameter lateral restraint ties have a drill bit formed in their leading end for cutting into softwood joists. Lateral restraint ties are supplied in lots of 50 and bundled in resale packs of 5.